Last year my husband and I stole time away together in San Diego. During our beach day, we stumbled upon the Firehouse, a roof top restaurant that served one of the most awesome salads I’ve ever had the pleasure of devouring. Needless to say, as soon as we arrived home I became bound and determined to recreate my coveted lunch. Something that delicious must be consumed more than once! 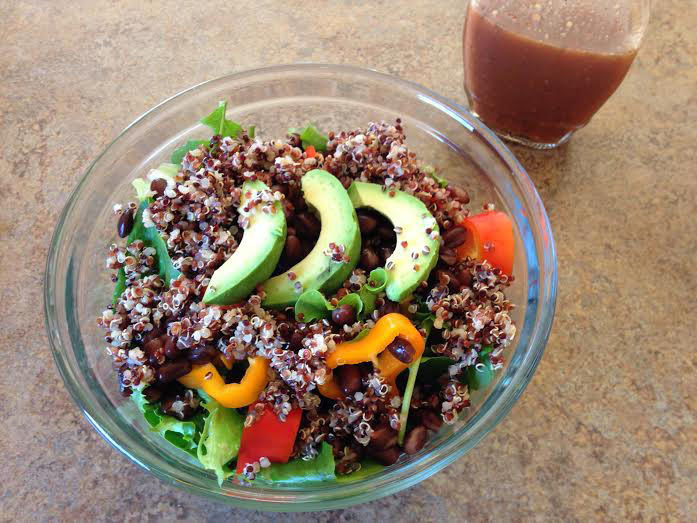 To this day, we continue to enjoy this Black Bean Quinoa Salad as part of our regular rotation. This salad is incredibly easy to throw together (as many salads are) and makes for a great meal or side dish! Quantities can be adjusted accordingly. 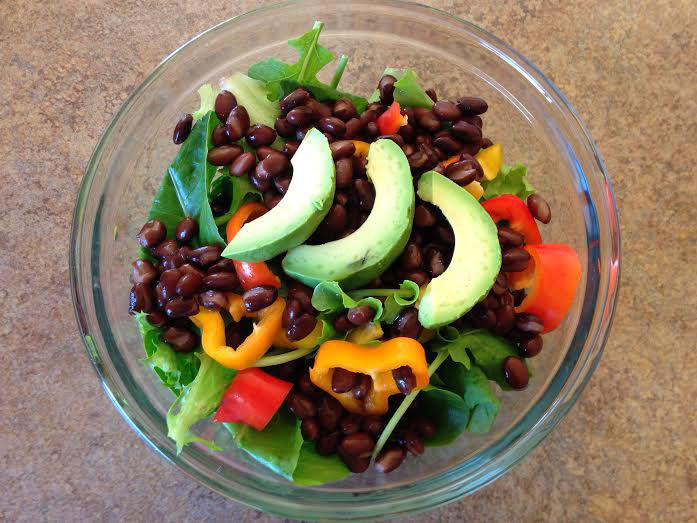 Black beans, avocado, peppers, and quinoa provide you with a nutritious combination of complete protein, healthy fat, vitamin C, and amino acids. And last but not least paired with Chipotle Dressing to give your taste buds a sweet, tangy flavor! During my time on the FODMAP diet, I still enjoyed this salad by omitting the onion and garlic and going light on the avocado. I discovered beans were not as much of a problem as long as they were canned, not dried. I made the dressing with cane sugar instead of honey which of course wasn’t as great as the real thing, but it still worked! *this dressing recipe can easily be cut in half and still yield plenty for 2 people. While both kinds of oil will work, olive oil tends to solidify when left in the refrigerator for longer periods of time. Shake container to break up ingredients. 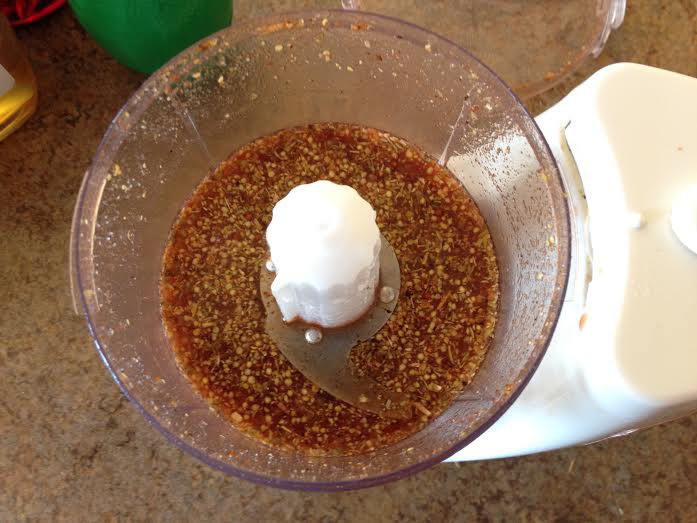 Combine all dressing ingredients except oil into a food processor. Blend. Pour oil into processor and pulse slowly until blended. 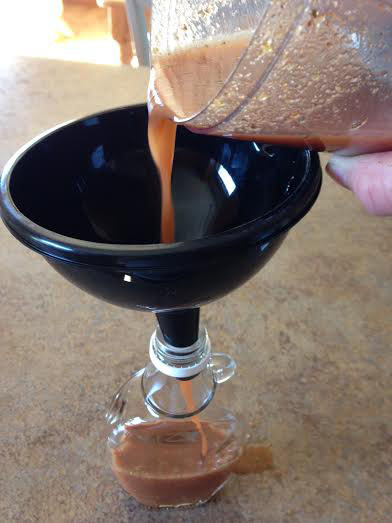 Pour into an airtight jar and chill in the fridge for at least 1 hour for stronger flavor. 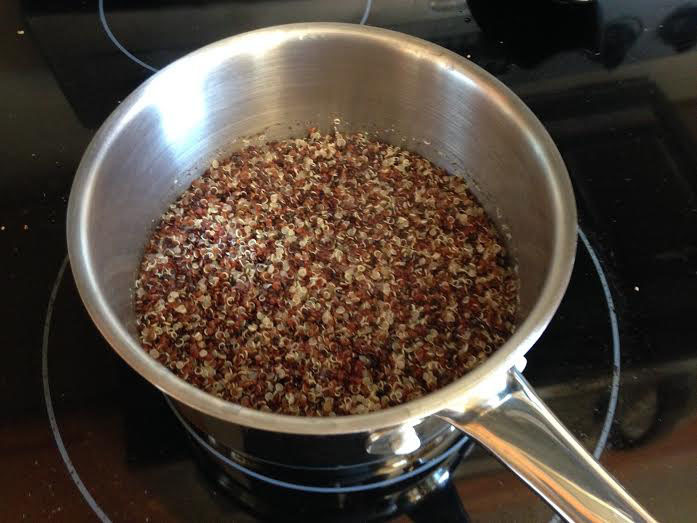 In the meantime, cook quinoa on the stove as directed. I personally like the looks of white quinoa better for this salad, but red was all I had on hand when this picture was taken. Once done, place in an airtight container and cool in the refrigerator. Chop peppers, onion, and avocado. 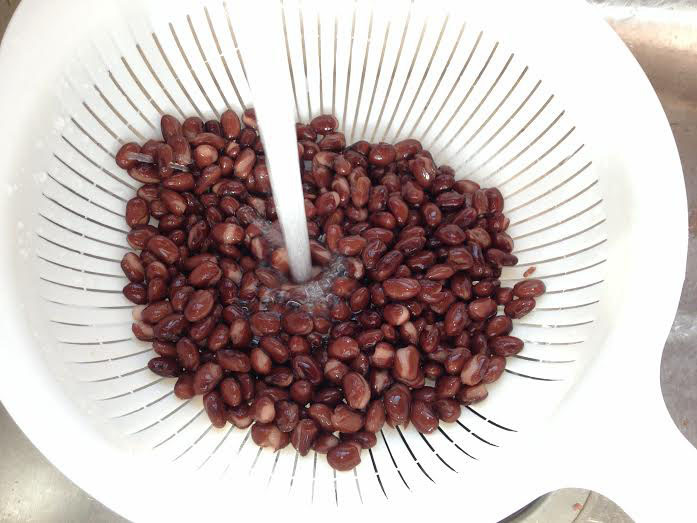 Drain beans and corn in a colander and rinse thoroughly to reduce the amount of sodium. Combine spinach and salad ingredients into a large bowl and top with quinoa. Serve with chilled Chipotle Dressing and enjoy! A fulfilling summer lunch! Color me happy. 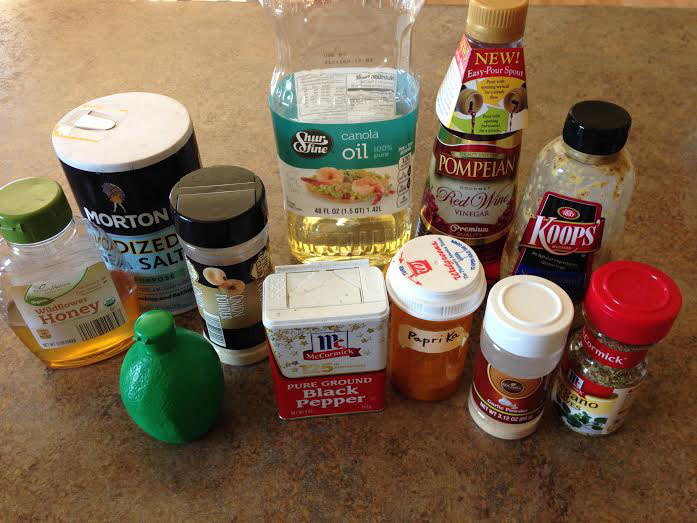 *The chipotle dressing in this recipe was adapted from a recipe at ChipotleFan. 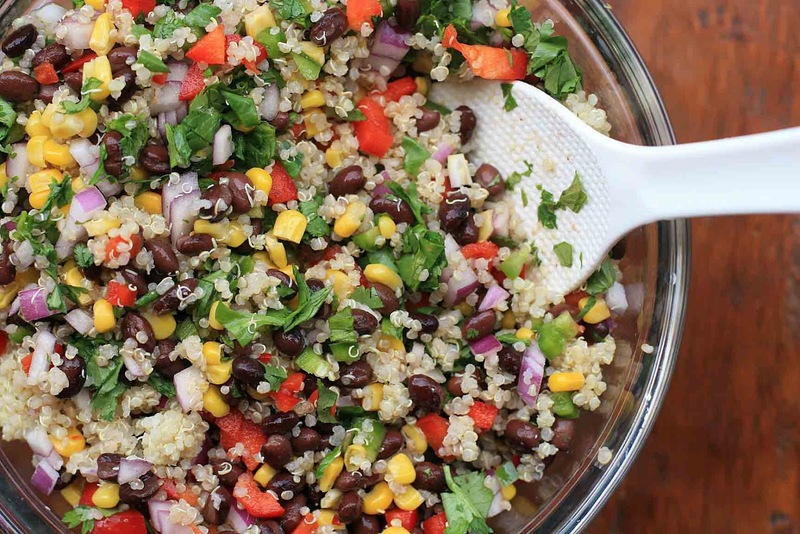 I’ve never eaten quinoa in a salad, but I do feel like it would turn it into more of a ‘meal.’ Thanks for sharing! Let me know what you think! Hope you enjoy it!